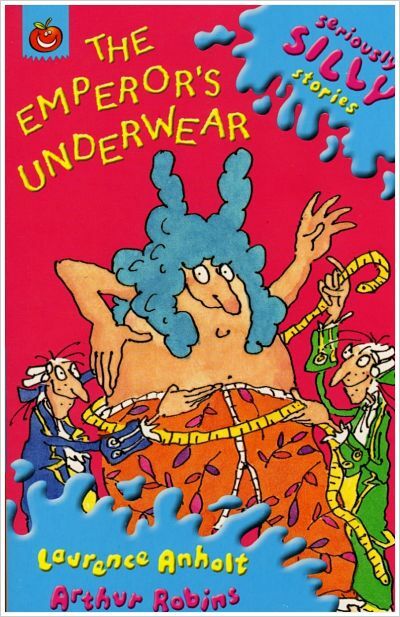 Step Three read The Emperor's Underwear from the Seriously Silly stories series. I do enjoy fairy tale parodies. 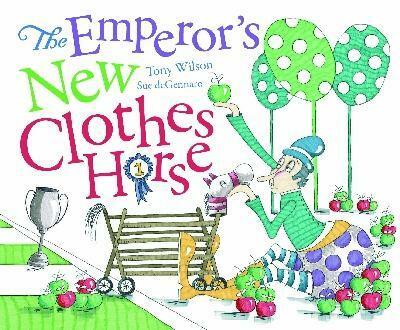 The Emperor's new Clothes horse is perfect. The illustrations are whimsical and lively. The twist of using a clothes horse and a horse race is a delightful innovation. I do hope this book is short listed for the CBCA awards in 2013. It will be fun to share this romp in my library. We have a good collection of Hans Christian Andersen fairy tales in our library. Here is an audio version of The Emperor's New Clothes. Here are lots of activities for this story. Finally here is the full text of the traditional story if you don't have your own Fairy Tale collection nearby. Here is an image of a clothes horse which might be useful. Main labels - use search to find more. You can click colour links on each post too. I have worked as a Primary School Teacher-Librarian since 1985. I am passionate about matching young readers with books. I love to read and hope to use my blog to share some of my most favourite titles and new discoveries. Momo is the name of a book by Michael Ende. You may know him from The Neverending Story. Momo is a allegory about time. We all need to make time for reading.